Cedrus conifer, potted Xmas Star for the home or office. Looking resplendent, tight growth in pot and saucer. 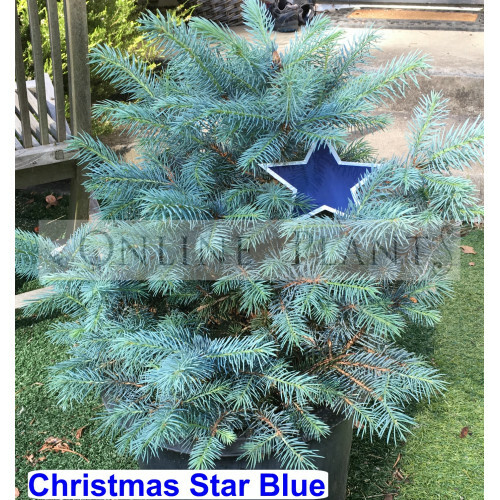 Buy Christmas Star Cedrus from Online Plants Melbourne. Australia's largest online retail Nursery. Over 3000 species of plants. Deliveries to VIC, NSW, ACT, QLD & SA.